Valentine’s Day is around the corner. Soon, across the country, amateur foodies and executive chefs alike will be scrambling to prepare the perfect romantic dinners. 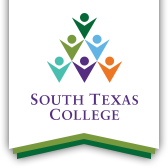 To find out more information about STC’s Culinary Program visit https://bt.southtexascollege.edu/culinary/index.html.